Right now you can double the impact of your donation to Lifebox through a challenge grant from the Stavros Niarchos Foundation. What’s this incredible opportunity all about..? Lifebox investors (aka incredible donors) aren’t looking for financial returns. They know our currency is safer surgery and anaesthesia, and that we measure ourselves against a different gold standard. How many pulse oximeters have we distributed this year? How many partnerships did we create? What percentage of healthcare workers leave a Lifebox training workshop more confident in the care of their patients? But it doesn’t change a basic NGO fact: effective work requires money raised and money spent. And not just on programmes, but on the operational structures that allow those programmes to exist. That means ‘indirect costs’. Business magazine Fast Company recently brought in two brand naming experts to see what they could do with this dreaded, Guidestar-negative budget line. 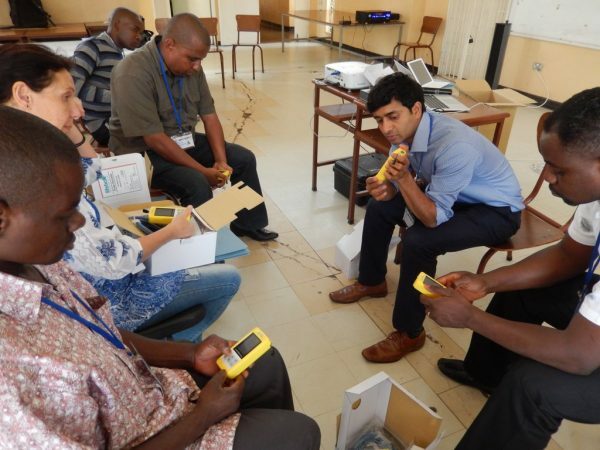 But if Lifebox is going to halve the global pulse oximetry gap in the next three years, we’re going to have to grow. If we’re going to identify and bridge the complex gaps looming between a low-resource setting surgical patient and a life-saving operation, we’re going to have to invest in our operations. To find a funder that understands and supports these needs is an extraordinary gift, and Lifebox is lucky enough to have met one such partner this year: the Stavros Niarchos Foundation. The SNF is an international foundation that supports programming in the arts, education, social welfare, and health. 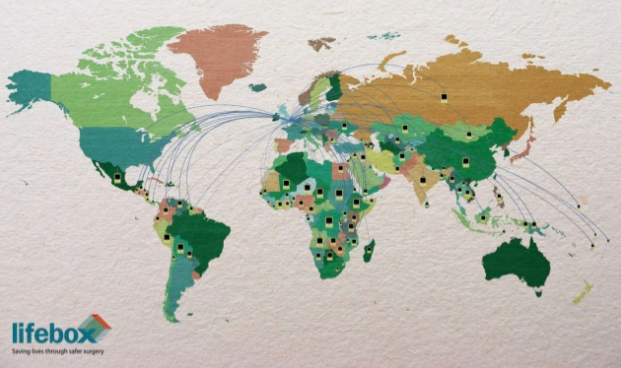 In over 20 years of philanthropic activity they’ve made more than 3,500 grants, totaling 1.8 billion dollars across 111 countries. And though the initiatives vary, there are shared notes: good leadership, high impact for vulnerable populations, and strong, reflective community partnerships. We’re proud to say that the SNF saw these qualities in Lifebox, and responded with two specific commitments. 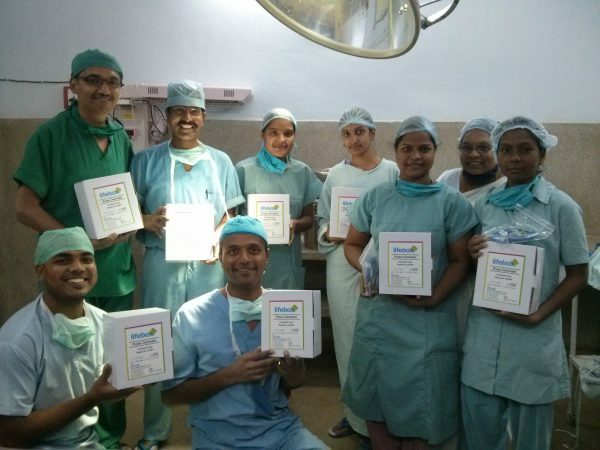 First with a grant to fund a three-year Lifebox project in India; second, with a capacity building challenge: raise $200,000 over two years, and the Foundation will match the funds. The budget was specifically tied to the kind of essential items it can be a challenge for NGOs to raise funds for. 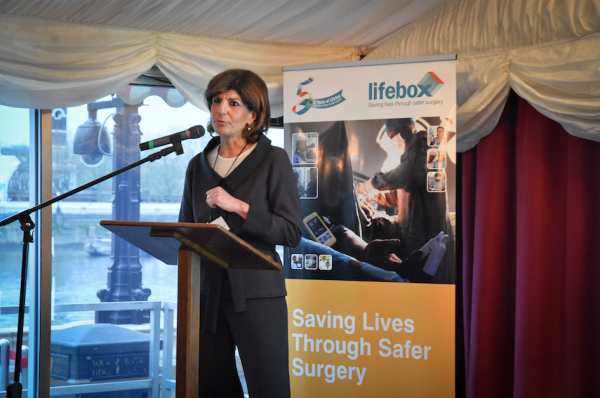 “Like the pulse oximeter, which can only be present in one surgery at a time, Lifebox could only go so far and reach only so many people per year with its current programmes,” the SNF’s CFO Christina Lambropoulou explained at the Lifebox 5 year anniversary celebration in London. Their support unquestionably means more safe surgery and anaesthesia around the world, but the investment is unashamedly – in fact strategically – indirect. From the start, our goal has been to support our colleagues on the frontline of the surgical safety crisis with the tools and structures they need for long-term change, and we’re proud of the way that the SNF understands our work. Thanks to the generosity of friends around the world, and magnified by the ‘Gawande Birthday Goal’ celebrating our founder Atul Gawande, we met the first half of the SNF challenge earlier this year. But we’ve still got $100,000 to raise by next year in order to access vital funds to support our work. “You didn’t think we’d let you off the hook, did you?” Christina asked the April audience with a smile. And we wouldn’t want them to. This is exactly the kind of investment we need, and we’re determined to double our returns. We need your help. To double your donation to Lifebox through the Stavros Niarchos Foundation challenge, click here (UK) and here (USA), or by mail us a cheque.